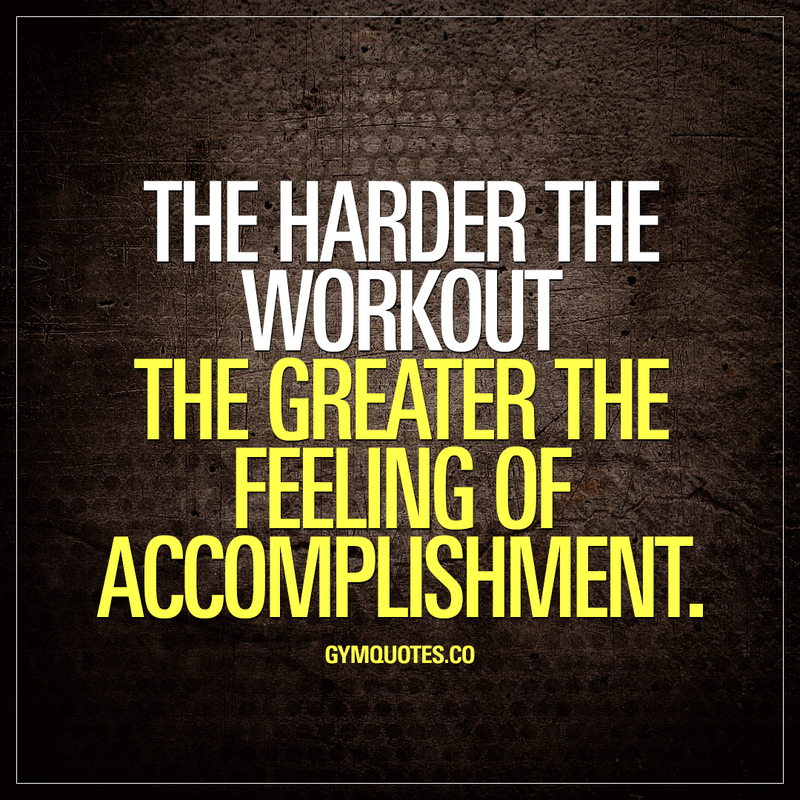 Workout quotes: The harder the workout the greater the feeling of accomplishment. The harder the workout the greater the feeling of accomplishment. That feeling of accomplishment is such an important part of training. Not only do you want to KNOW that you’ve truly given it all you’ve got – but you want to FEEL it. And the only way to get that real feeling of accomplishment is to make your workout as hard as you can. Train harder during your workout and you’ll not only KNOW that you’re going to become better and stronger, but you’ll FEEL a whole lot better as well.